Introducing a new and effective, medication-free treatment available here in our office! Extracorporeal Pulse Activation Treatment (EPAT). 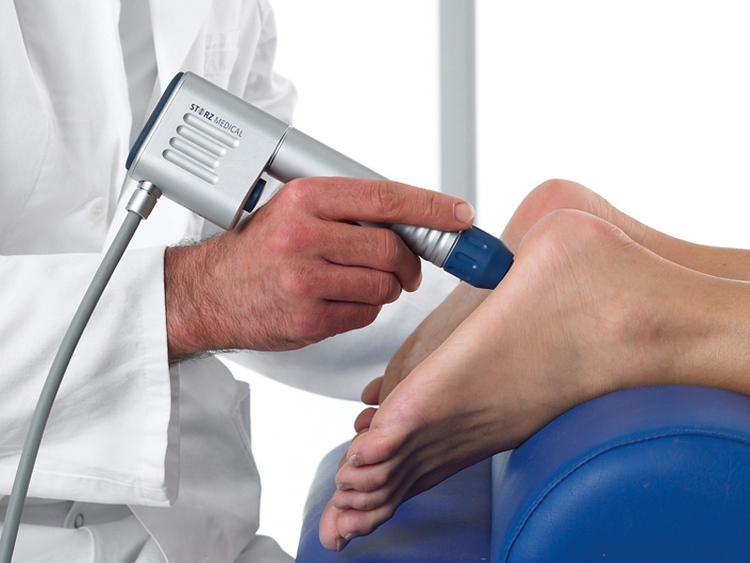 Also known as, Shockwave Therapy or Shockwave treatment. This treatment can be used for Plantar Fasciitis, Achillies pain, calcium build up, heel spurs, injuries to the heel and Achilles tendon, and more. Click the link above to see more about how EPAT works and its effectivness! across the arch of the foot, to the point at which it inserts into the heel bone. Overpronation is the most common cause of plantar fasciitis. As the foot rolls inward excessively when walking, it flattens the foot, lengthens the arch, and puts added tension on the plantar fascia. Over time, this causes inflammation and heel pain. Also known as heel spur syndrome, the condition is often successfully treated with conservative measures, such as the use of anti-inflammatory medications, stretching exercises, orthotic devices, and physical therapy. As mentioned above, another effective treatment for these conditions is called Shockwave Therapy. We offer EPAT treatment to patients that have conditions which we think would benefit from it, visit the link at the top of the page or call our office for more information on EPAT! Note: Please consult your physician before taking any medications. For more information on Heel Pain Treatment, call David H. Eisenberg, DPM, FACFAS inCarrollton, TX at 972-418-0788!